Since taking the helm at McLaren, the one thing that Zak Brown has been good at is recruiting new people to the team. 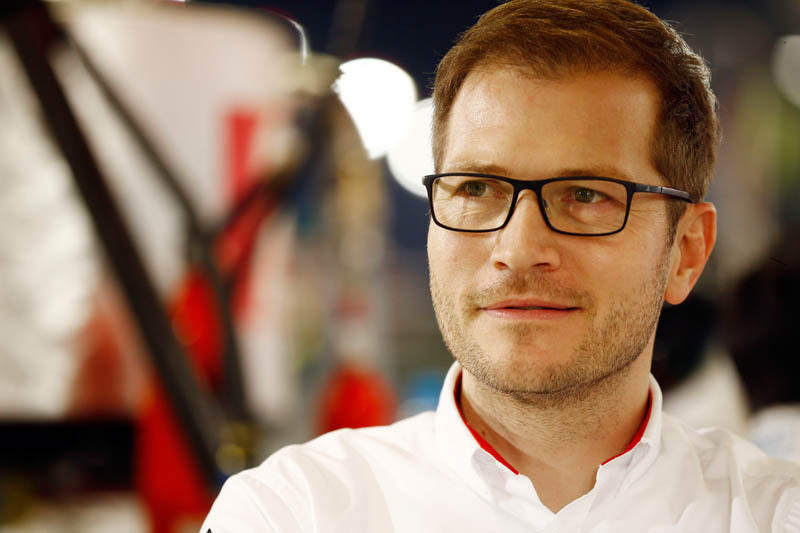 While the likes of the Business Advisory Group has never been heard of again, certainly in terms of the cars sporting significant new sponsors, many believe that the recruitment of former Porsche WEC boss, Andreas Seidl, is one of Brown's better moves. F1 winner and WEC champion, Mark Webber, who worked with Seidl at Porsche, having previously worked with the German at BMW Williams, believes that he is just the man to turn McLaren around, and in the process improve the odds for fans as they bet on the team at betbrain.com. "If there's any man for the job..." said Webber, according to Motorsport.com. "He's going to give it a red hot go... he's an absolute workaholic, very, very, very sharp on the technical side, and great with people. "He's certainly one of the best I've worked with," the Australian enthused. "Andreas and I, we've known each other since 2005. He was my engine engineer at Williams, at BMW. He was always going places. "He's dead excited, he's really excited about it," Webber said of the German's move to Woking. "But he knows he's got a task ahead. "He's had some snapshots of Formula 1 with Sauber BMW, and he was instrumental in our success with the (Porsche) 919. Not just him, it was a big team, but he definitely turbocharged the results. "He's always wanted to get back into F1," admits Webber. "And I don't think it was his only phone call from the paddock, to be honest. I think he sees it as a tremendous opportunity to make a big difference." However, the Australian warns that results won't be instant and that Seidl will have to find his feet in a team that has clearly lost its way in recent years. "For a lot of Ron's faults, that's when they were at their best," said Webber of Ron Dennis. "When they were at their most harmonious, with the commercial model in place you get your drivers and off you go. "McLaren were a beast. Then they wanted to do road cars, then it's like 'what are we doing here?' Then it's a bit of IndyCar, a bit of... you can't do everything. It's that laser focus. Every team that's been successful in Formula 1, they've been focussing on one thing and recruiting well." "With so many levels of management at McLaren, Andreas Seidl will need to be pretty handy with the pruning shears. Let's hope for his sake, Zak Brown isn't running around behind signing up more mates to get in the way."